Kona Makai#2-102 is an excellant option for your Hawaiian Vacation. The owners have put BRAND NEW CARPET in the Property as of June 2018! 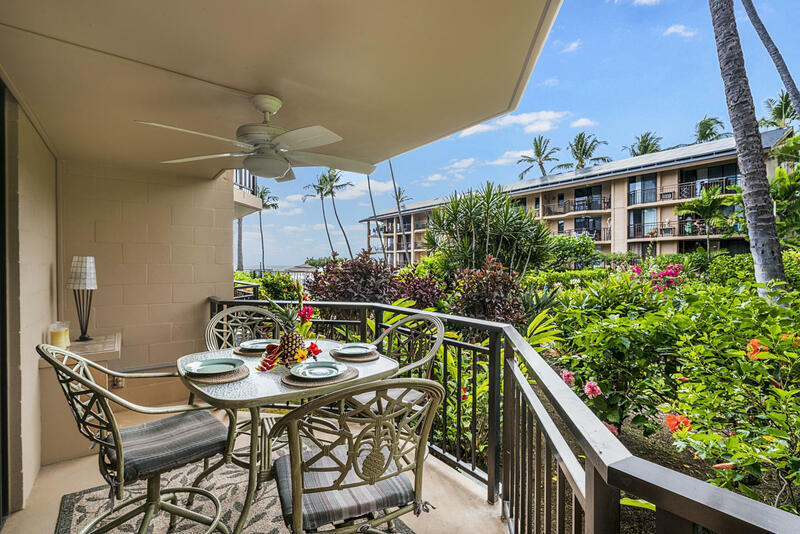 This spectacular ground floor unit is a true gem at the Kona Makai. The owners keep their property maintained very well & showcase how a Vacation Rental should truly look like. The details put into this property are absolutely remarkable. Any guest staying here will enjoy & appreciate this beautifully decorated condo on famous Alii Drive. The property has 687 interior square feet, with a 172 square foot Lanai! Outdoor Dining Seating Available with a Lounge Chair for Sunbathing! Enjoy watching a gorgeous Kona sunset on the ocean from the lanai! You can't beat this location! 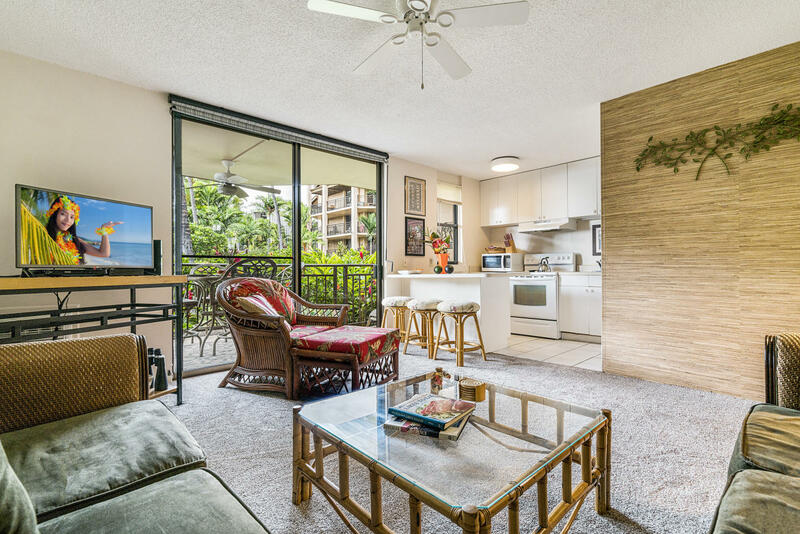 Kona Makai is a popular oceanfront complex near the heart of Kailua town. 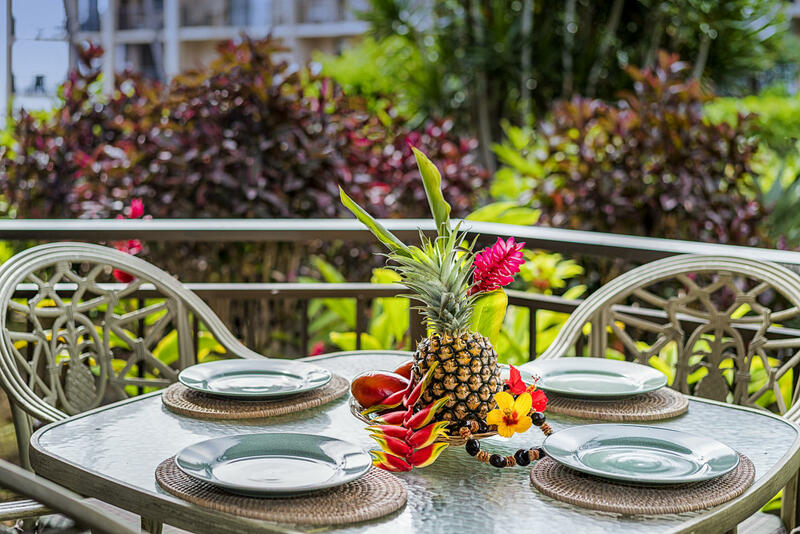 Ideal location near shopping, restaurants, and the beach at the Kailua pier. Building 2 is a great location in the complex with it's proximity to the oceanfront pool area. Lush tropical gardens greet you on the walkway to the ocean front pool and spa. Dream away the hours watching whales in season or dip in the pool or spa. Large BBQ area with kitchen and tables. Fitness center is well equipped with stationary bikes, tread mill and free weights for indoor workouts. Tennis courts above the covered parking area. This complex is also gated at night! **If link does not show, please inquire within to have it sent directly to you. on the left hand side just down from the Front Desk. Kona Makai is a "Smoke Free" complex. You will have to go off of the property in order to smoke. There are no assigned parking spaces: parking is open. My husband and I spent a relaxing week in this comfortable condo. We were surprised at how quiet it was considering it is a ground floor unit. The kitchen was equipped with all the necessary essentials for our cooking needs.... plenty of utensils, dishes, cookware even some oils and spices. The washer and dryer was a plus. We didn’t expect to find the boogie boards and ice chests and were so glad they were provided. The only negatives to this condo was the fact the bed and pillows weren’t very comfortable. Very hard. We ended up sleeping on the huge sectional couch most of nights we were there. The TV wasn’t very user friendly also. The pool and BBQ area was great. We spent a lot of time with a cocktail sitting in the lounge chairs watching the sunset right on the shoreline. The grounds and landscaping was immaculate- just gorgeous. We definitely will stay at Kona Makai again in the future? Very comfortable and clean apartment with everything we could need during our stay. The bed was extremely comfortable and we slept really well. Pool area was lovely and we also enjoyed the table tennis. Well maintained gardens were delightful to look out to from our lanai.